Welcome to Stone & Tile Studio. We are Queensland’s most exclusive tile and stone showrooms and one of the largest importers of top-quality stone and tiles in Australia. 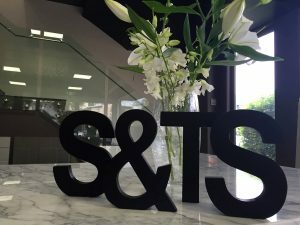 Stone & Tile Studio grew from one of Australia’s most successful tile installation contracting companies with over 30 years experience in the tiling industry. Fed up with the lack of quality products available on the market, our managing director set out to find quality new products, to offer our customers a far wider choice and much higher quality than those available at the time. We embarked on researching and procuring only the finest of natural stone and manufactured tiles from all corners of the globe. We are now the market leader in supplying the best quality up to date trending product from Italy, Spain our European suppliers have affiliations with factories in China and India to ensure the quality of our more budget products meet our client’s expectations. Our stone is sourced from the world’s best quarries and is finished to the highest standards. Our direct approach of making our customers experience outstanding service and making sure that they are the number one priority when they visit. Stone & Tile Studio has helped brand us as the ultimate destination for quality Stone and Tiles, we service all sections of the market including Retail, Commercial projects, Trade, Wholesale, Architects and designers. Whether you’re a homeowner, renovator, builder or designer we have two conveniently located stores; our Stafford showroom is Queensland’s best-stocked designer showroom and at our Zillmere warehouse and distribution center, where you can come and view and select your stone first hand from current stock. If you require the finest quality product from a supplier with integrity who really values its reputation and seeks repeat client business, be sure to book an appointment with one of our consultants today or visit one of our Brisbane showrooms and be amazed by the brilliant selection on display.